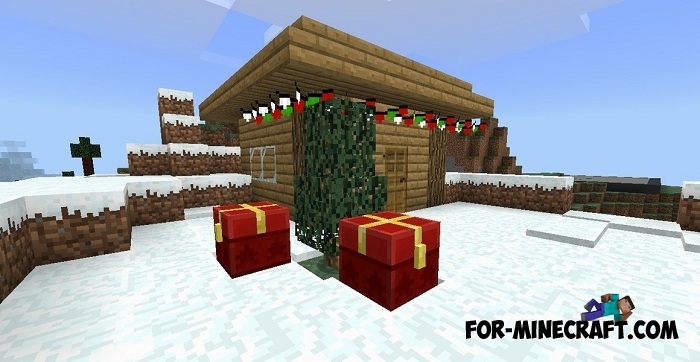 There can not be any Christmas in Minecraft PE Bedrock without this addon. We'll see some more similar addons of Christmas themes, but this is the first one containing the main attributes of a happy Christmas. It's no secret that that day is very bright and warm meets people all over the world and thanks to new items and creatures in this addon, you can cheerfully and loudly celebrate Xmas. Do not forget that the original MCPE initially has the same items as rockets. 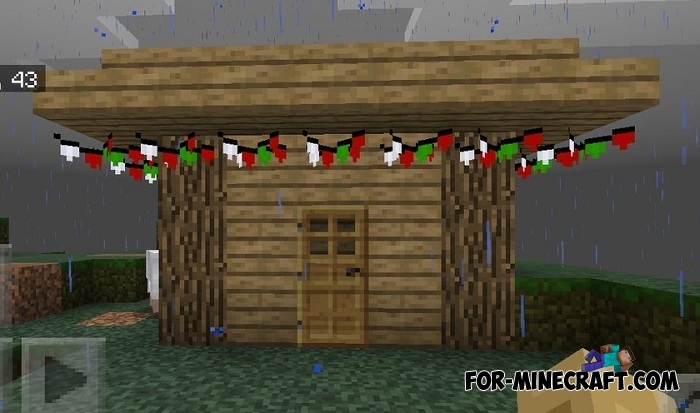 The addon adds Santa and his deer, a Christmas tree and several color options for it, a garland and gifts of course. Decorate your house with these wonderful bright garlands, install a Christmas tree and customize it to taste and then invite your friends and give them New Year's gifts. Your party can end with dazzling fireworks and good wishes. How to install the Xmas addon?